Can a dentist really help you stop snoring? Quite simply, the answer is YES! Certainly at Carisbrook Dental it is anyway. Although in all honesty probably not every dental practice will have the experience or the ability to provide the proven solution that we can. Try Googling: dentist, Manchester and see what they have to offer … we’ll be surprised if many, or indeed if any, can match our expertise in this area. First of all though, let’s explain what it is that makes so many people snore. Snoring is generally caused by vibrations of the soft palate and surrounding tissues. Mainly it is due to the partial closure of the airway during sleep as a result of the relaxation of the neck muscles. As so many people can testify, snoring not only affects the sleep of the snorers themselves, but also that of their partners and it is this interruption of the sleep pattern that causes a lack of deep sleep and as a result produces a feeling of tiredness and frustration during the day. Believe it or not, but according to the UK Marriage Council, almost a quarter of marriage breakdowns sited snoring as a major contributing factor. That is how serious snoring can be. Even more frightening however, is the risk of sleep apnoea, which interrupts the breathing and in certain circumstances can be a direct cause of high blood pressure and the possibility of strain on the heart. Many cardiovascular surgeons now recommend that snoring should not be ignored, but should be treated using dental appliances. If you contact any member of our team at Carisbrook they will be able to tell you about how we can help you (or your partner) to stop snoring. 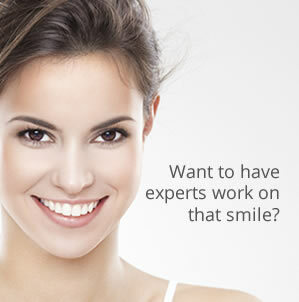 Our fully tried, tested and approved remedy is the use of Mandibular Advancement Devices. That sounds very technical we know, but quite simply these non-invasive devices, specially manufactured for each patient, serve to push the tongue and lower jaw very slightly forwards and this effectively prevents the soft palate from vibrating. It is a very simple and cost-effective treatment, and best of all every single one of our patients who has tried it has reported an immediate improvement in their snoring, their sleep patterns, their quality of sleep … and in fact their entire quality of life. And that goes for their partners too! If you would like to know more about our proven Snoring Therapy click here to read more about it. If you or your partner suffers as a result of snoring we are currently offering a FREE CONSULTATION. Just give us a call to fix up an appointment.